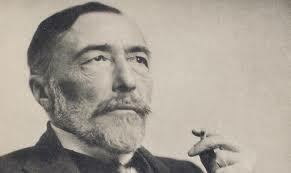 Heart of Darkness is the most popular work of Joseph Conrad. 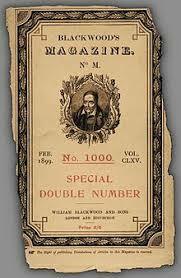 The novella was first published in 1899 as in three parts in the Blackwood’s Magazine. Over the years, the novel has raised a lot of interest of readers and critics for its complex language and plot design. Conrad has made use of a highly unconventional method of narration in the novel to describe the condition of the African natives under British governance. What is the theme of Heart of Darkness? What does darkness symbolize in Heart of Darkness? What color is the fog in Heart of Darkness? What does Marlow represent in Heart of Darkness? What do rivets symbolize in the heart of darkness? Heart of Darkness opens with a narrator who has taken up a job in a riverboat. 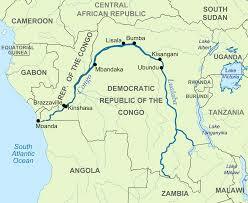 The boat is supposed to sail through Congo river and conduct trade within different parts of Africa. As the narrator starts his journey, he encounters the fact that the white people who are ruling over the black natives treat them in a very bad manner and force them to live in inhuman conditions. He realizes that the majestic cities that have been build are a result of the barbaric behavior of the whites towards the natives. He arrives at the Central Station to find out that his steamship is damaged and needs a few months to be repaired and certain parts will take time to arrive. During his stay, he got to know about Kurtz, a white officer, who is feared by everyone. He gets to know that Kurtz is suffering from an illness. 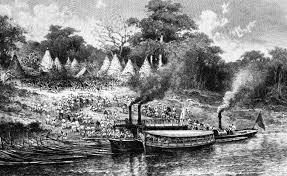 However, their vessel gets repaired and Marlow, the narrator sets on the journey to river Congo with his crew. During their journey, Marlow spots a hut with firewood. As he approaches, he finds a note that tells them to take the firewood cautiously. As they stack it into their ship, many natives appear from the dense jungle and start attacking them. Marlow blows the whistle of his ship and the natives retreat, scared. Finally, Marlow reaches the place where Kurtz was living. He is told that the head of Kurtz has enlarged and he is very ill, due to which he should be approached carefully. He is told that Kurtz is almost a god for the native people because he has managed to threaten then wit a number of brutal practices, that are referred to as his ‘methods’. Kurtz appears, ill, and is carried on a stretcher to the ship. He is accompanied by a native woman who is his mistress, but she stays on the shore. A Russian man with Kurtz tells Marlow that the attack on their steamship was ordered by Kurtz so that Marlow and his crew would go back and leave Kurtz on his own. At night, Marlow finds that Kurtz is missing. He finds him in the jungle, crawling on all fours, trying to get back. Marlow convinces Kurtz to return to the ship and sets sail the next morning. During the journey, Kurtz’s health worsens but he grows close to Marlow as they talk to each other about his experiences in Africa. Kurtz gains confidence in Marlow and gives him some paperwork which contains description of his brutal methods to command the natives. Marlow returns to Britain and meets the fiancée of Kurtz after a year to give her Kurtz’s paperwork. He finds that the fiancée is still in mourning and is sad about losing Kurtz. She talks to Marlow about Kurtz and asks him what his last words were. Marlow lies to her and says that he took her name while dying. 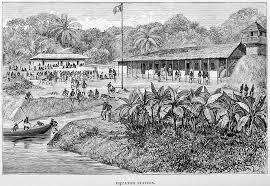 Heart of Darkness was written by Conrad after experiencing the state of affairs in imperial Africa himself. Through this novella, he points out the dark side of imperialism which is barbarism and inhumanity. He portrays a picture of the African continent under British in order to describe the inhuman behavior that the natives experience. Through this, Conrad points out the hidden darkness in the hearts of people. He describes that people with white skin are no better than the dark skinned people who they call brutes and cannibals. Through the character of Kurtz, he presents a picture of the hypocritical nature of the imperialists and their lust for money and power. The novel has scenes that describe the torture and brutality that the natives were experiencing at the hands of Kurtz. Conrad starts describing Kurtz as a man of massive influence and authority over the natives- a trait that has made him rich and powerful. However, he is ill and nobody is aware of the illness he is facing. As Marlow meets Kurtz and gets to know him, he points out that Kurtz is a brutal man who has threatened the natives to obey himself. When the readers meet Kurtz, he is completely guided by his obsession for more money and ivory. Kurtz is the face of imperial England. Through Kurtz, Conrad describes the dark side of imperialism as well as human beings in general. He points out that a white man is no better than cannibals and brutes, only because he is taking up his activities on the name of development and civilization. The novel also uses madness as a major theme to stretch the evils of imperialism beyond brutality. He reflects that the brutality and evil that the whites are capable of is inherently absurd but powerful. When Marlow meets Kurtz, he is told that his head has enlarged, pointing to the madness in him. He sees that in lack of any rules and regulations, a white man is as brutal as any native and even worse. The madness of Kurtz makes him inseparable from the natives. Color is a very important motif that has been used by Conrad in order to develop a mood for the reader. The white sepulchers that are constructed by the English people are a symbol of development. However, this progress is a lie that is as white as the sepulchers because the process that has been used for this development is brutal and inhuman. Heart of Darkness is a novel about the process of colonization and imperialism. As a result, there are not many women characters in the novel who play a significant role in shaping the plot. Instead, Conrad has used women as a symbol in the novel. The native woman who is the mistress of Kurtz and his fiancée in Britain are the two women in the novel. The native woman has been described as beautiful and strong. However, she is aware of the horrors that Kurtz is capable of. She symbolizes the native population in general. The fiancée of Kurtz, on the contrary, thinks of him as a messiah of development and progress who is working on making the brutes civilized. The knowledge about the true character of Kurtz is completely concealed from her. She, hence, can be considered as a symbol of the majority of white population, unaware of the horrors that are cloaked behind the ideas of progress and civilization. Heart of Darkness talks about the evil nature of imperialism and its impact on the native societies and people. The darkness in the novel symbolizes the internal lack of compassion and humanity that makes the white imperialists treat the natives with brutality. The fog is dark and dense. Even though it is the conventional fog, its darkness represents the fear and threat that Marlow experienced at that time. It can also be considered as a symbol of the darkness that Marlow was about to encounter after meeting Kurtz. Marlow represents the common people of England and the other parts of the world who are under an impression that imperialism is a way to promote growth and development and bring civilization to the ‘uncivilized’ societies. Marlow is stuck on his journey due to a damaged steamship when he is going to bring Kurtz. His ship is taking time for repair because of the missing rivets that are needed. The rivets are a small but very important part and the delay in their availability is a symbol of the information that Marlow is getting about Kurtz. Just like the rivets, these details also come to him slowly and helps him to develop an understanding of the character of Kurtz as his steamship is built when the rivets come.